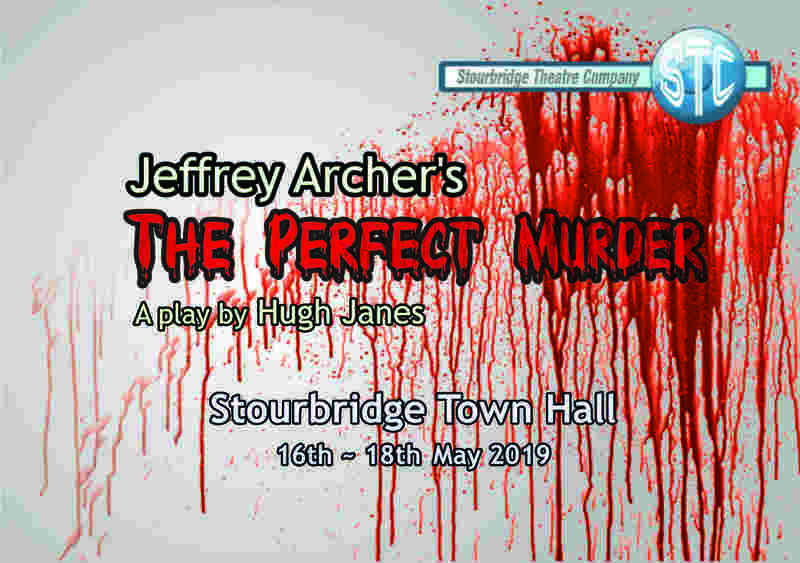 The Perfect Murder was adapted for the stage by Hugh Janes from a story by the well know writer and ex MP, Jeffrey Archer. A classic “who done it” with a twist that only Jeffery Archer could conceive. John, a married man, has been having an affair with secretary, Carla Moorland. After John sees a man leaving her flat, he quarrels with Carla ending in him accidentally fatally striking her. He leaves unnoticed but then anonymously tips off the police to say that he saw a man Paul Menzies, leaving Clara's flat. The murder inquiry receives vast media attention and Paul Menzies is eventually arrested and brought to trial but what will the verdict be ……..? Before becoming an author, Jeffery Archer was a Member of Parliament (1969–1974), but did not seek re-election after a financial scandal left him almost bankrupt. He revived his fortunes as a best-selling novelist; his books have sold around 330 million copies worldwide, several being adapted for the stage.